The White House today hinted that Pakistan could be included in the list of countries from where immigration has been banned. Note : This is the first time that the Trump administration has publicly acknowledged that it could put Pakistan on the list, which currently has seven nations. Greece's Lambrakis Press Group today announced that two of its newspapers including Ta Nea, the country's best-selling daily, will cease publication due to financial reasons. It also added that the situation was a result of the economic crisis Greece is currently facing. Members of South Asian Association for Regional Cooperation (SAARC) to meet this week on Wednesday & Thursday at Kathmandu. Today (30th January) is National Martyrs' Day. This day is also known as Sarvodaya day / Shaheed Diwas. We observe this day to commemorate 69th death anniversary of Father of the Nation, Mahatma Gandhi. Note : On this day in 1948, Mahatma Gandhi was assassinated by Nathuram Godse at a prayer meeting. Today is Anti Leprosy Day. 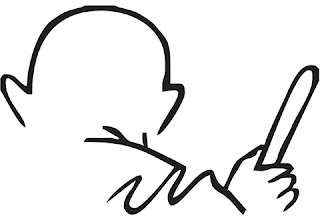 This day is observed every year in memory of Mahatma Gandhi. The Madhya Pradesh State Tourism Development Corporation has inked an MoU with online travel portal MakeMyTrip to promote its homestay scheme. The MP homestay scheme is for owners of apartments and bungalows who can provide accommodation and meals to local and international tourists. Turkey and Britain are going to sign a free trade deal once the UK leaves the European Union. This comes during UK Prime Minister Theresa May's official visit to Turkey. The countries also signed a $125.5 million (₹851 crore) deal to jointly develop fighter jets for the Turkish air force. Miss France Iris Mittenaere was today crowned as the 65th Miss Universe in the Philippines. Haiti's Raquel Pelissier was the first runner-up while Colombia's Andrea Tovar came third. Note : India was represented by Bengaluru's Roshmitha Harimurthy, who was eliminated in the preliminary round. The Israeli Defence Ministry and the US have successfully tested an anti-ballistic missile system in central Israel. The system tracked an incoming test missile and "destroyed the target as planned", the Defence Ministry said. IPS officer Amulya Patnaik, who currently serves as Special Commissioner of Police (Administration), has been appointed as new Delhi Police Commissioner. He will succeed Alok Kumar Verma, who is set to take over as the director of Central Bureau of Investigation. The Supreme Court today named a 4-member administrative panel to head the BCCI, naming former Comptroller and Auditor General of India, Vinod Rai, as the panel's head. The panel includes historian Ramachandra Guha, former women's cricketer Diana Edulji and IDFC Bank CEO Vikram Limaye. Morarji Desai, the former Prime Minister and Finance Minister of India, has presented a record number of ten budgets. He presented the budgets during 1959-1963 and later during 1967-1969. Note : Desai is also the only Finance Minister to have presented budgets on his birthday, in 1964 and 1968 on February 29. The Reserve Bank of India (RBI) today announced that the limits placed on cash withdrawals from ATMs stand withdrawn from February 1. At present, the daily limit on cash withdrawals from ATMs is Rs 10,000. The journey of Vijay Shekhar Sharma-led startup Paytm from an online recharge platform to a payments bank has become a case study at the Harvard Business School. Titled 'Paytm: Building a Payments Network’, the study will be available for teaching purposes within and outside Harvard. Indian shuttler PV Sindhu has won the Syed Modi International Grand Prix Gold after beating Indonesia's Gregoria Mariska in the final today. At the age of 35 years and 174 days, Roger Federer became the oldest Grand Slam champion, after his Australian Open title against rival Rafael Nadal yesterday. Boxer Sarita Devi, who recently became India's first female professional boxer, won her debut pro bout in Imphal today, by defeating Hungary's Zsofia Bedo by unanimous decision.